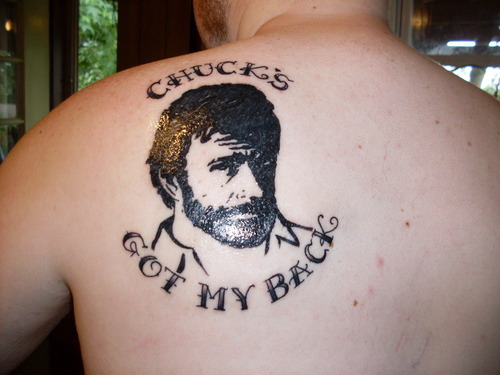 chuck's got my back. chuck's face on my back. HD Wallpaper and background images in the Chuck Norris club tagged: chuck norris tattoo.